The Index opened up around 7811, but dipped in the initial minutes to lows at 7761.85. Responsive buying saw the index back in green and closed near the top at 7872.25, huge gain of 82.95 points. The broader market was positive, with 1076 advances to 444 declines. The broader range for the series is now at 7600-8200. 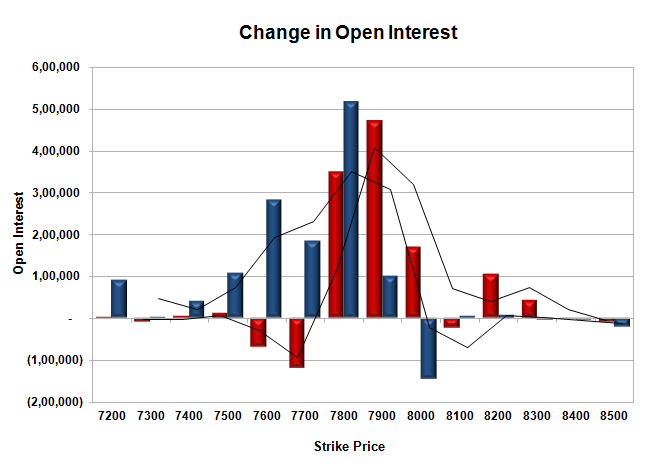 Call option 7800-8200 added huge 10.69 lacs OI with short covering seen at 7700 and below strike prices. Put option 7900-7200 added huge 13.23 lacs OI with short covering seen at 8000 and above strike prices. 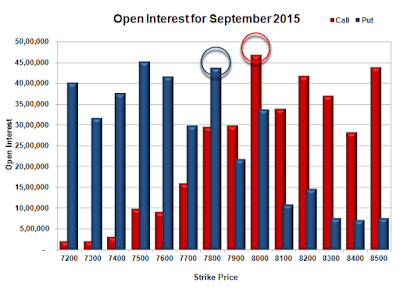 Nifty Open Interest is at 2,23,24,775 down by 3,47,825, with increase in price, most probably huge short covering. 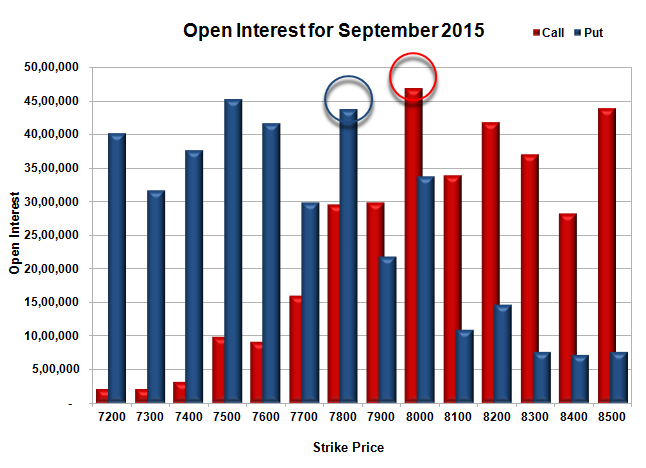 Bank Nifty Open Interest is at 25,67,325 up by 1,35,125, with increase in price, most probably huge long build-up. FII’s sold 2.86 lacs Futures, which includes 13742 contracts long liquidation and 2296 contracts short covering, with decrease in net OI by 16038 contracts (includes 42402 longs to 53848 shorts for the day) and the Average Price comes to 8153.32. FII’s Index future open contract as on date is 660361 Longs to 388702 Shorts, Net Long 271659 down by 11446 contracts. Initial and super support at 7800, with OI of 43.67 lacs and below that at 7600 with OI of 41.62 lacs. Initial resistance at 7900, with OI of 29.90 lacs and above that at 8000 with OI of 46.84 lacs. 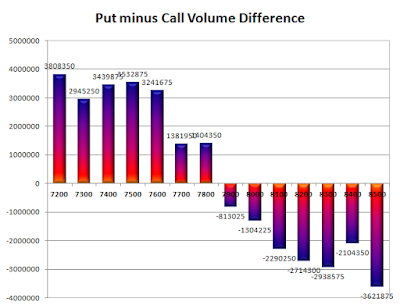 Day Range as per Option Table is 7738 - 7955 and as per VIX is 7772 - 7972 with 7838 as the Pivot.